Don’t miss the Durban launch of Clive Barker’s biography, Coach: The Life and Soccer Times of Clive Barker by Michael Marnewick. The book is an insightful biography of Mzansi’s longest-serving national football coach and arguably the most successful, following Bafana Bafana’s win at the 1996 Africa Cup of Nations. Join us for our Durban, KwaZulu-Natal launch this Thursday from 18:00. 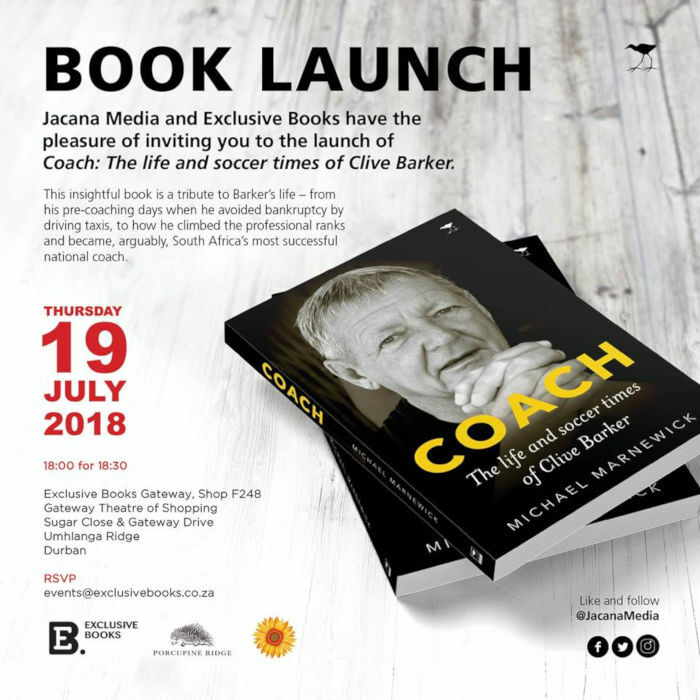 We are launching Coach – The life and soccer times of Clive Barker with Michael Marnewick at Exclusive Books Gateway.